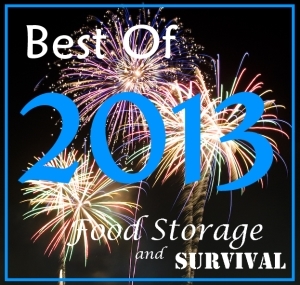 It’s the end of another year here at Food Storage and Survival and I want to thank you, my readers for visiting, commenting, asking questions, and being just plain awesome! We’ve got some exciting things coming in 2014, but for now we’re winding 2013 up with a roundup of the top ten posts from this year. 9. Make Custom Sized Mylar Bags with a Clothing Iron–Want smaller bags from a large bag? You can make any size or shape Mylar bag yourself with just a pair of scissors and a clothing iron. 7. 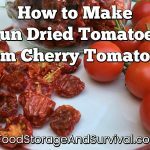 7 Ways to get Meat in Your Food Storage–I like meat as a source of protein and there are a lot of options if you want it in your food storage! 6. 12 Simple Reusable Alternatives to Common Household Disposables–Ditch the disposables with these handy reusable alternatives. 4. 8 Tips for Storing Food in Mylar Bags–Avoid some mistakes and learn the best kept Mylar bag secrets! 3. Assembling a Car Emergency Kit with Printable Checklist–Get some gear in your trunk! 2. Practically Free Mylar Bags–You may have some in your house already! 1. 25 DIY Weekend Preparedness Projects–Got some extra time this weekend? Tackle one of these projects and use that time to get better prepared! Here’s to a healthy, happy, and prosperous new year for each of you!